Sergio Aguero could become the Premier League's leading scorer of hat-tricks this season if he maintains his present rate. The Manchester City striker's treble in the 6-1 win over Huddersfield Town was his ninth in the competition. It lifted him above Harry Kane, level with Robbie Fowler and two behind the 11 of leader Alan Shearer. It was also Aguero's 13th for City in all competitions and put him into the top 10 of all-time Premier League goalscorers, above Robin van Persie and level on 146 goals with Teddy Sheringham. 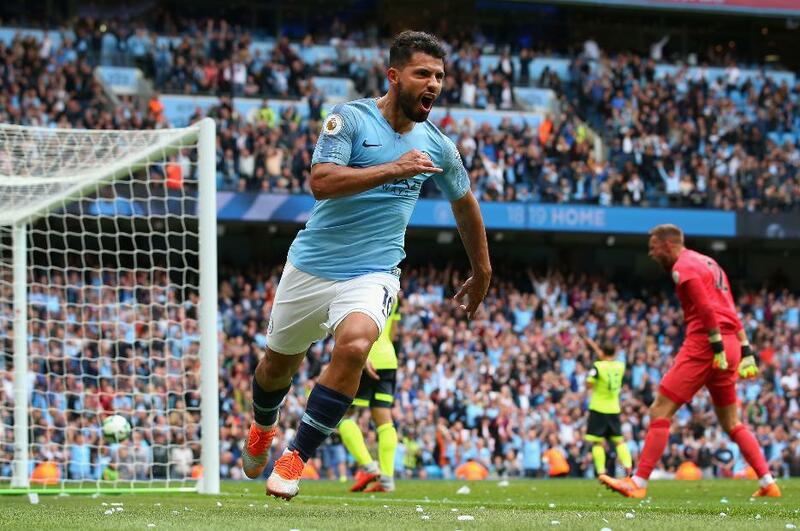 Sunday's treble came in his 208th match and was Aguero's fourth in the last 11 months. His last three have come in just nine matches he has played. His first five trebles had taken him almost five years and 146 matches. If he gets close to maintaining his recent rate, Aguero would go above Shearer before the end of the season. Aguero’s hat-trick on Sunday also stood out because it was the first which has featured more than one left-footed goal from the Argentinian. Most have been dominated by strikes with his right foot.